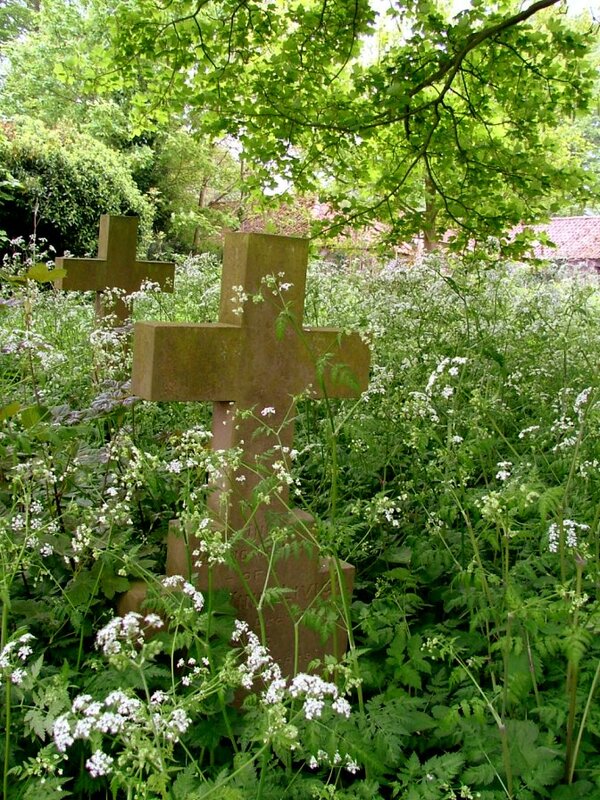 Norfolk is always grand for cow parsley, and nowhere more so than the churchyards. In the bright May sunshine the headstones were drowning in a sea of it, and all over the north of the county the churches were tall-masted ships afloat. Peter and I pushed through the swathes, finding places to turn and photograph the great towers, and all around the swallows had arrived, darting and diving above the foaming flowerheads. I lumbered on, tripping on hidden stones, and the air was full of their screaming and the sweet green smell of the crushed stems. 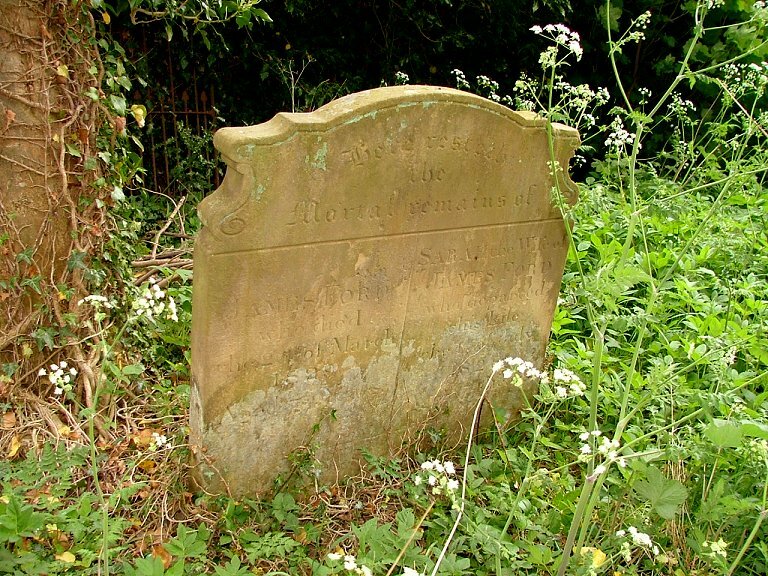 Just as overgrown, but much quieter, was the graveyard around the ruin of Edgefield church. 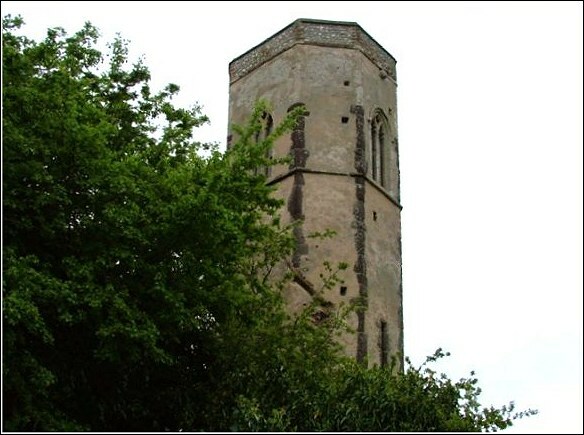 Perhaps it was the sprawl of the untended trees, and the skeins of ivy cascaded from the upper branches, screening the tower from any distant view. Spring had come; but here also was the sadness of decay, the silence of neglect. 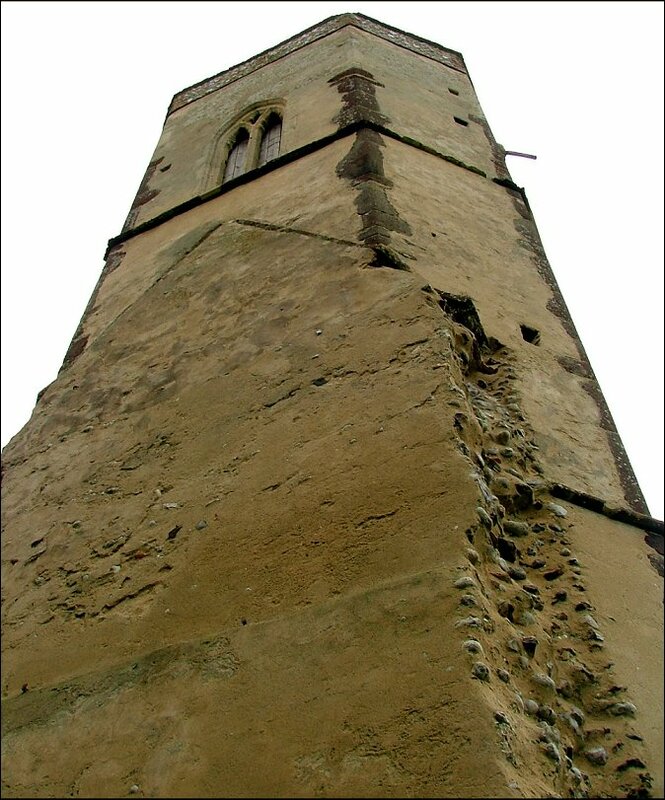 It was in 1883 that the Rector of Edgefield, Canon Walter Marcon, decided to demolish the old church, which was in poor condition but not unusable, and rebuild it as a new church on a site nearer to the middle of the village. 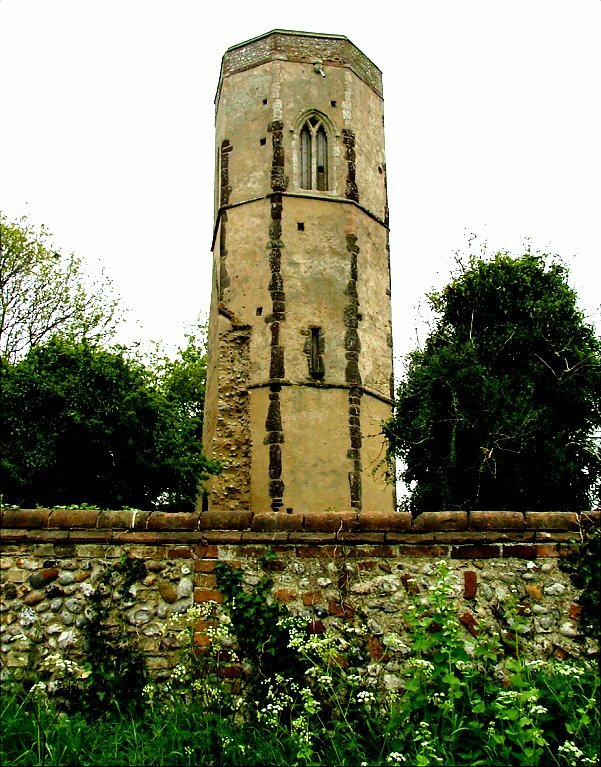 It was, of course, very common at this time for village churches to be rebuilt, and in this part of Norfolk several were moved to new sites - Fulmodeston and Hindolveston, both nearby, are examples. But history has remembered the rebuilding of Edgefield church, probably because Canon Marcon was such a character. 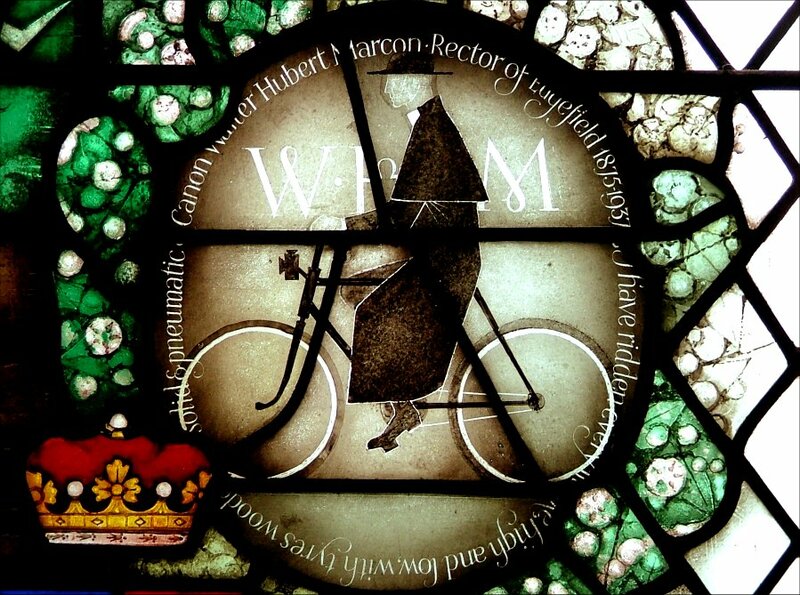 He was the cycling parson - I have cycled every lane, high and low, on tyres wooden, solid and pneumatic, as his memorial window in the new church recalls. Fifty years later, when Arthur Mee came this way sniffing out stories for his King's England series in the 1930s, he found Marcon still in harness, an old man now but still cycling the lanes around his parish to visit his flock. The modern benefice system of the Church of England has saved many parish churches from redundancy, but the long tenure of men like Marcon has gone, and we shall not see its like again. When Pevsner's revising editor visited Edgefield in the early 1990s, he found the ruin surrounded by a working farm, but this has now been abandoned and is rather a ghostly place. 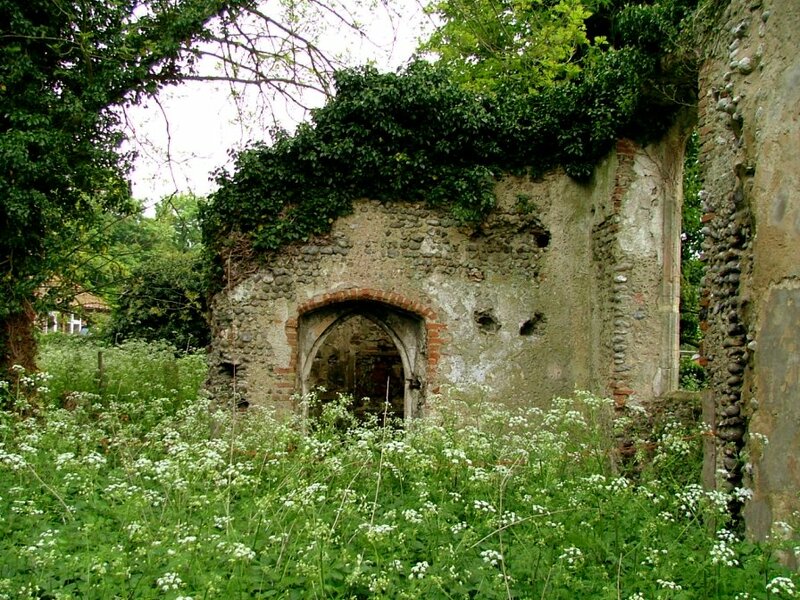 There are some old cottages to the south, and the dogs in their gardens went mental as Peter and I explored the ruin. 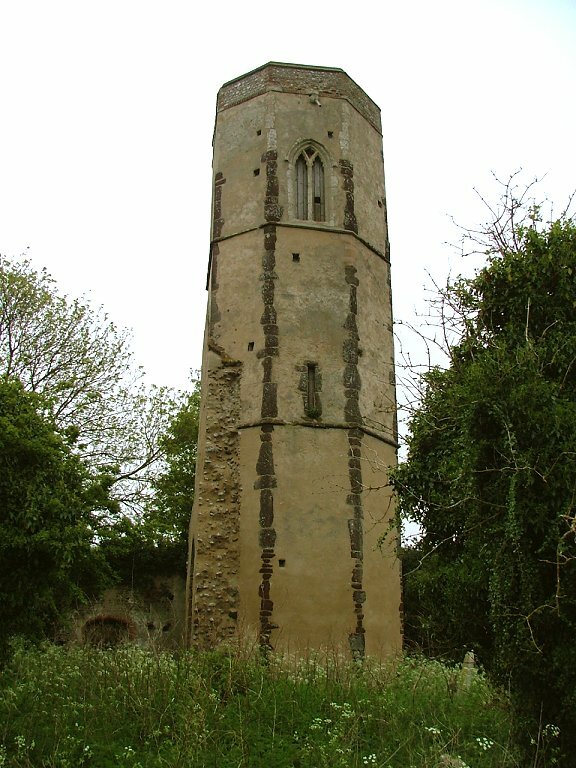 The great octagonal tower, one of about half a dozen in Norfolk, is all that remains, apart from the vestry and a western window at the end of the south aisle. The rendered flint walls with their carstone edging are most striking. 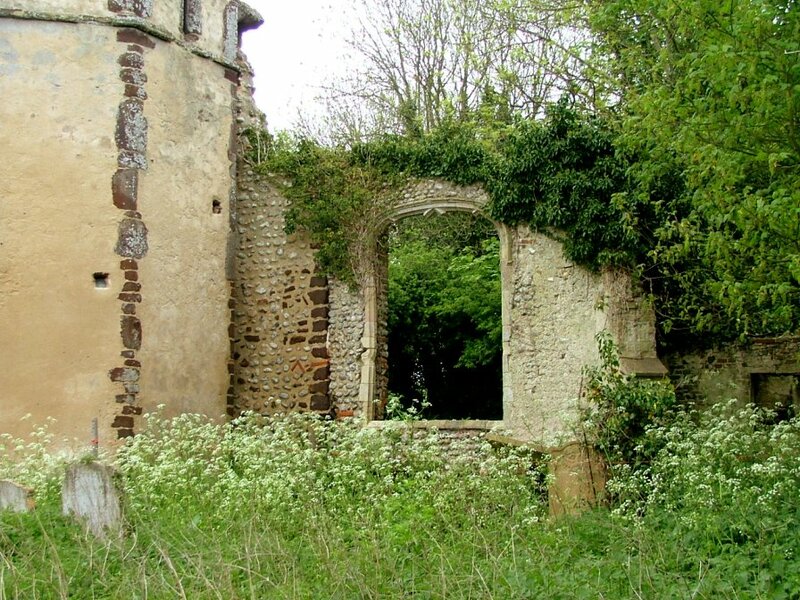 Earlier in the day, we had visited the ruin at Hindolveston. 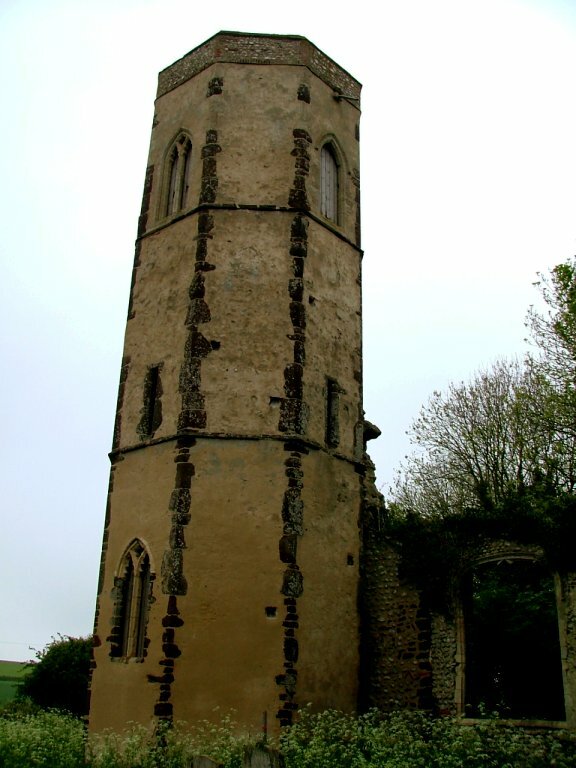 There, the tower had collapsed on the old church, but the graveyard was still in use. It is a lively place, full of nature waking up for the year. Here at Edgefield, the atmosphere felt quite different. Perhaps it was the abandoned farm, or the angry dogs, or the lack of birds apart from the spiralling jackdaws. Perhaps it is simply that the graveyard here is no longer in use, the dead of the parish now laid out in neat rows around the new church. The old graveyard feels as abandoned as the farm. 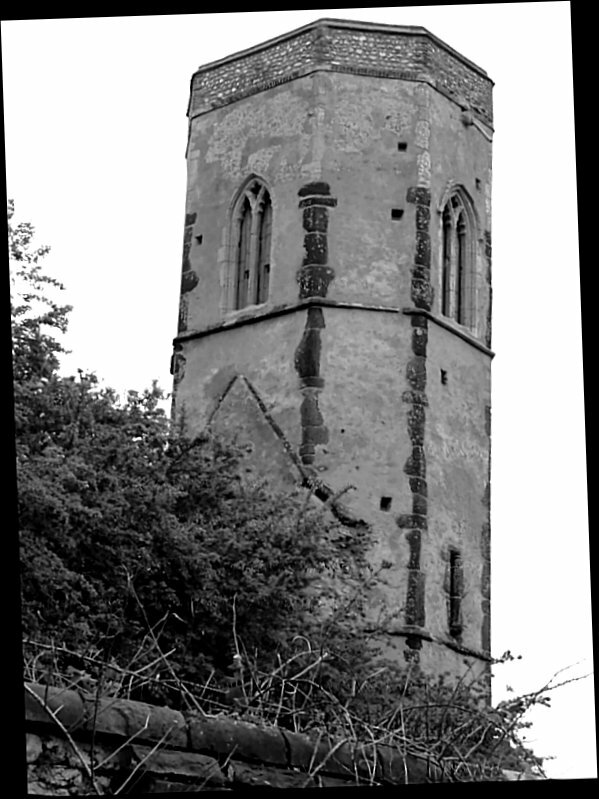 Or was it simply that the parish had turned its back on this old place without sufficient reason, and the ruin had descended into a sulk which even the charming legend of a cycling parson could not placate?